<h1>Install On Ubuntu, Debian, Mint, Kali</h1>sendmail tool is provided by different packages on Ubuntu, Debian,Mint, Kali ordebbased distributions. 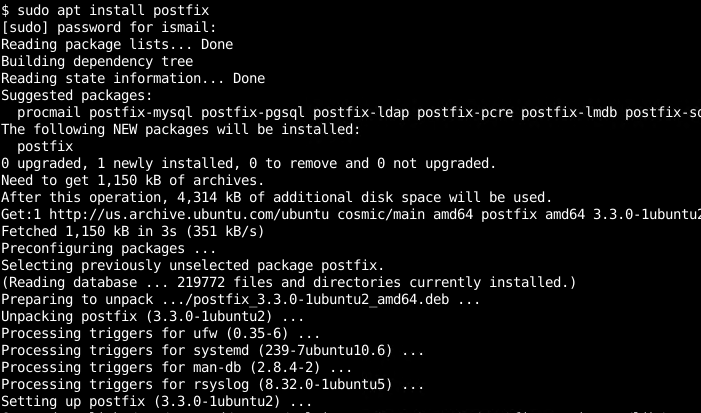 In this case, we will install the package namedpostfix. Inrpmbased distributions likeFedora, CentOS, RedHat we will usepostfixpackage to installsendmailtool. <h1>sendmail.cf Configuration File</h1>sendmailcommand has different configuration options. We can provide these options interactive command line duringsendmailcommand execution. But we can also set these options in configuration file/etc/sendmail.cfpermanently for all usages. 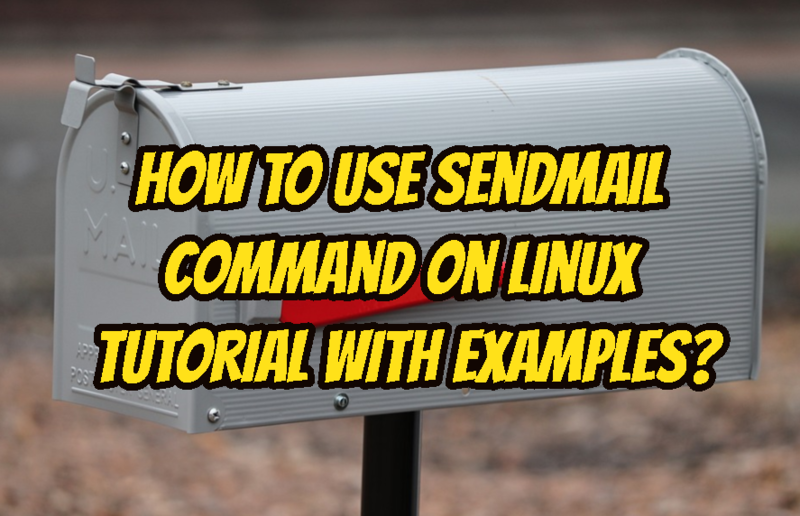 <h1>Sendmail Local Users</h1>sendmailcommand can send mail to the local users. We just need to supply the user name of the local user to the sendmail utility. Then we will provide the mail content in a text or ASCII formation. For example we will set the subject with theSubject:` line like below. Linux distributions provide the mail command which is used to list emails or inbox of the users. We can use mail command without providing an option to list currently logged user inbox or mails. We will see that previously sent mail will be listed and displayed in detail. We can see that detailed information about the email is listed. LEARN MORE What Is URL (Uniform Resource Locator)?